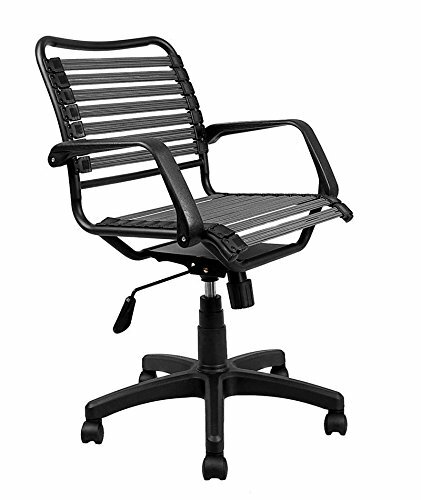 The Laura Davidson Bungee Office Chair combines sleek European styling with breathable comfort. The super strong flat bungee straps contour to your body to provide outstanding support and ventilation. Arms are removable. Adjustable seat height of 17.5 - 21.5 inches. Seat width: 18 inches. Adjustable chair height of 36 - 41 inches. Sleek Euro style bungee office chair from Laura Davidson. Super strength polyester covered bungee straps comfortably conform to your body and provide cool ventilation. Durable powder coated steel frame with removable polypropylene arms.